You hear about it, you dream of it sometimes! Well it can be the turning point of your vacation! You are tired of huge crowds, lines and… Just trust us, try this wonderful day trip from Rome. 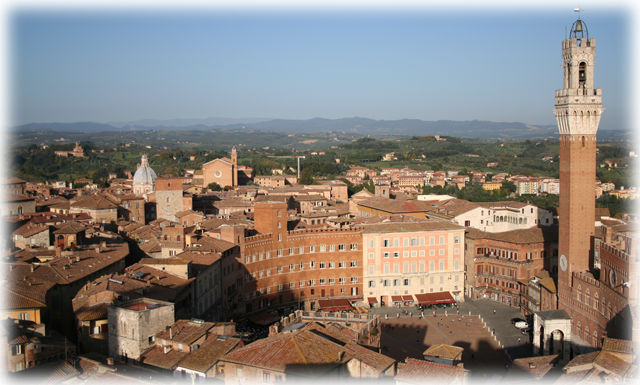 SIENA // After 3 hour driving you will reach this amazing town first! It will be like jumping back in time! A wonderful example of Medieval town with its Piazza, Dome and narrow streets! WINE TASTING NEAR SAN GIMIGNANO // Back on the van and over to the heart of the Tuscany countryside to meet Mr Luigi, the owner of one of the best wineries in Tuscany. Taste his wine and have a light lunch at his place. You’ll love it! SAN GIMIGNANO // Whatever you think is good for you we will do it. You can put in the day also a quick visit to the so called Manhattan of Tuscany for all its towers. Another touch of Medieval times. I am sure you’ll be delighted but its beauty.